This course is for participants whose job responsibilities include creating Excel reports, clean & analyze data as well as conducting analytics and data science. 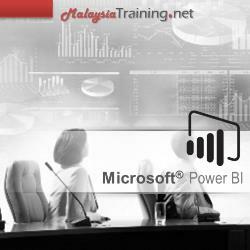 This course is taught to publish those reports to the Power BI service, create dashboards, and share to business users so that they can consume the dashboards through the web and their mobile devices. Microsoft Power Query is an Excel add-in that enhances the self-service Business Intelligence experience in Excel by simplifying data discovery, access and collaboration. With Power Query, non-technical Excel users can access large corporate and Internet-based databases to conduct analysis and produce reports. Power Query is an add-in program for Excel 2010 and Excel 2013. Its features are also integrated into Excel 2016. Import Data from several of the data source. Prepare data for analyzing and visualizing. Excel Introduction or Intermediate Level. Previous experience with database concepts is helpful but not required. Basic exposure to programming constructs (such as looping and branching).